This entry was posted in National Newsletter - 2016 - Issue 1. Bookmark the permalink. Article By Amanda Holley, Queensland. 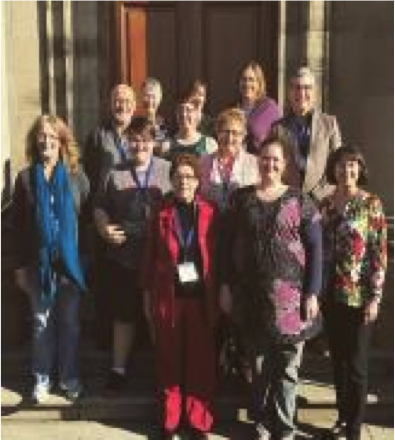 Twelve eager Australians made the pilgrimage to the 22nd International Kodaly Symposium at Merchiston Castle College in Edinburgh, Scotland. This is one perspective of their shenanigans. Edinburgh, the medieval city widely known as the centre of education, was the picture-perfect backdrop for the 22nd International Kodaly Symposium. As visitors to the city we were fortunate enough to have the chance to experience the Edinburgh International Festival, the Fringe Festival and even the Royal Edinburgh Military Tattoo. Immersed in culture, history and philosophical thought, the atmosphere and suspense for these Aussies was significant. A number of delegates either arrived early or stayed on from the conference to venture around the relatively uncharted city. Personally I ventured around Edinburgh prior to the conference with a local, Catherine Bapty. She showed me around through Edinburgh on a walking tour exploring Carlton Hill, the Royal Mile and the Old Town. We even took time to explore some of the underground vaults that are said to be haunted. The day of the conference arrived and we made our way to Merchiston Castle School. When we arrived three young choristers from the National Youth Choir of Scotland greeted us. They directed us to the onsite living accommodation. Having travelled for nearly thirty-five hours I was delighted to receive my key and make myself at home in my room. The accommodation featured a study desk, ensuite and kettle, these small niceties made a lot of people feel instantly at home. After quickly freshening up I went to make new friends and partake in conversation about our contexts and life. Similar to the National Conference in Sydney last year I enjoyed listening to people talk about their sense of meaning from their work, students and life. Having never been at an international conference I was unaware of this sense of family that seemed to occur instantly among the delegates. It was similar to some form of a family reunion with new folk welcomed with open arms. As the week progressed conversation cruised, papers presented and workshops witnessed. To say what the highlights were of these sessions is always very personal. For my learning I found two significant papers that resonated with me. Our own Australian gem, Judy Johnson, presented the first of these two. Judy spoke about the important of Australian folk music in our early childhood settings. She stressed the importance of using culturally appropriate material with our children, especially given our context. Surprisingly, not all Australian folk music is melodically complex and we can use this folk music in our classrooms. The second paper that engaged my thinking was that of an American, Sean Breen. He presented a thoughtful paper on neuroscience and its conclusions. The current research showed many interesting things for consideration however it also showed the need for work in this field coupled with the idea of a significant pedagogical approach. The workshops were fantastic! Three honourable mentions go to Naomi Katz Cohen who presented an authentic approach to learning ‘Jewish Music to Dance and Sing.’ The other two stand out workshops were both presented by Australian’s; Sarah Landis’ ‘Classroom Application for Choral and Instrumental Arrangements of Australian Folksongs’ and Tess Laird’s ‘Transforming the Notes into Music.’ Sarah’s workshop showed her application of Australian folksongs into string arrangements that were to be performed alongside a choir. These innovative works showed the prospect for integration of either students in a classroom who learn privately or the instrumental program. Tess gave us an insight into her meaning of the concept of ‘a well trained heart’ (Kodaly, 1953). All three presented freely and passionately about their topics making them appealing, highly informative and sensational! In addition to these demonstrations we also had a number of keynote presenters and evening concerts throughout the week. Each keynote presenter gave an insight into their work and how they have taken the work of Kodaly as an inspiration to create change in their country. Christopher Bell and Dr Miriam B Factora both have made significant impacts on their communities with the help of the legacy of Zoltan Kodaly. The evening concerts were engaging and evocative providing each delegate with a taste of something new. For the Australian’s in the room it was fantastic to experience traditional and new music from the region. Given the opportunity to witness the versatile Richard Michael (and his trio) demonstrate the similarities of jazz and baroque music was astounding. They even did a short improvisation on Waltzing Matilda, finally a song that all of the Aussies new the words to! The conference concluded with a formal dinner and Ceilidh, a traditional Gaelic social gathering. Together we learnt traditional dances and had just a wee bit of fun. 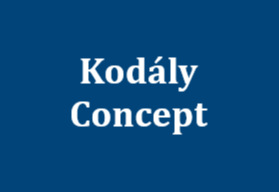 The formal proceedings also occurred during the conference, we witnessed the Advisory Council and General Assembly of the International Kodaly Society. For a first time attendee I learnt about the ways in that the society is run. In addition to the work of the society we heard from Kodaly organisations from around the world learning of their accomplishments, training programs and conferences. During my time at the conference it was overwhelming how much support is given to the work in Australia. The notion of the Kodaly legacy in our country is held in such high international regard, evidenced by the high number of quality Australian presenters. As a young Australian music educator I feel fortunate to be in such a great community to learn and thrive.